What about a way to get the best of both worlds? 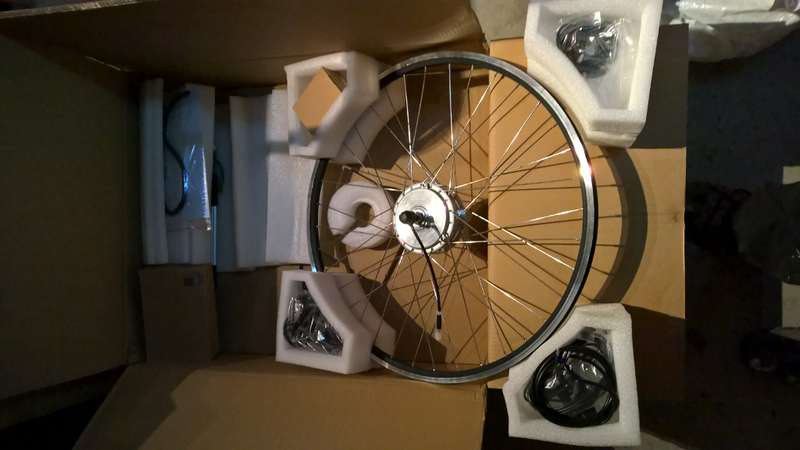 I decided I’d try a project myself to see how easy it would be: I built an electric bike. 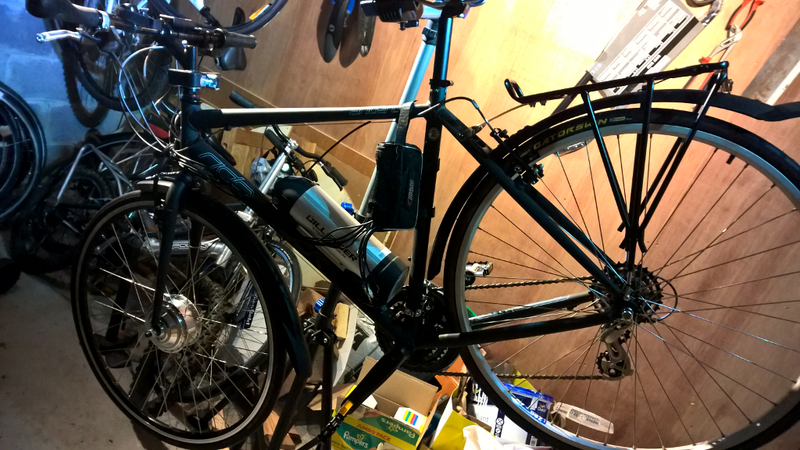 To be more accurate, I took a normal bike and fitted an electrically powered front wheel to it. The result was something rather cool: It was easy to do. It makes cycling distances, up hills and with heavy loads significantly easier, and it opens up cycling to just about anyone. It is a genuine alternative to a car. 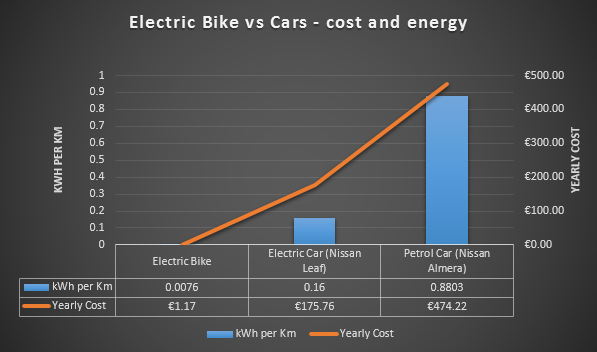 The Electric Bike: it cost €500 to turn a normal bike into an electric, an investment which delivers an annual ROI of 74.4%. Savings per year over driving: 3,190.4 kWh per year | €473.05 per year | 724.2 kg CO2 per year. If you can give up your car entirely, the savings jump to €2,723 a year, for a whopping ROI of 5,246% over ten years (€2,723 * 10 years = €27,230 – initial investment of €500 = €26,730). I ordered a 250W Electric Bike Conversion Kit from Dillinger, for roughly €500 / $600. I saw plenty of alternatives on Ebay and Alibaba ranging from €200 – €1000+, but opted for one above the cheapest with a brand which is reasonably well known. Given the Irish weather, this was going to frequently get wet. The kit arrived a few days later. This is what it looks like in the box. 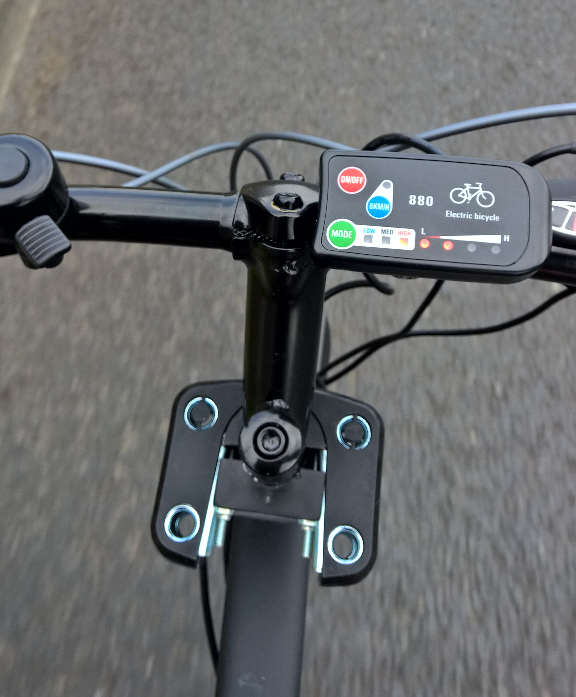 It includes the electric wheel itself, the 8Ah battery, the battery holder which attaches to the bottle holder mount on the frame, the control unit which attaches to the handlebars, and the cabling to wire it all up. 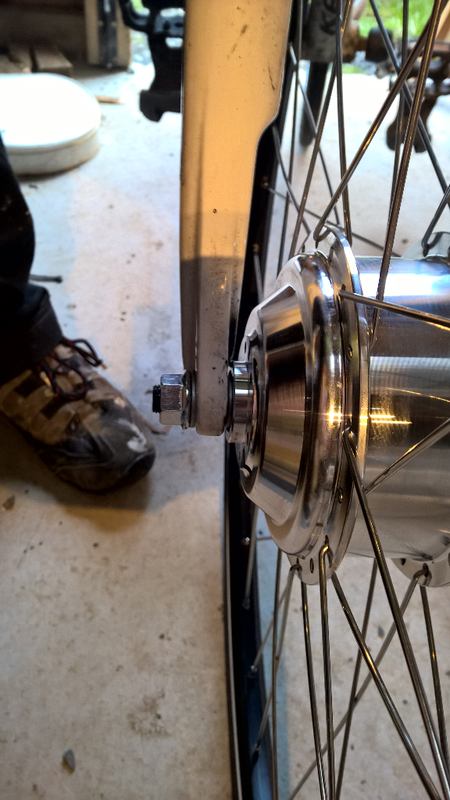 The electric wheel goes onto the frame just like any wheel, though it needs forks to be 100mm wide. There was one tricky aspect to this in that the electric motor in the front wheel is wider than most normal wheels @ 100mm wide, and although it’s designed to fit inside most bike front forks, if you have front suspension or an unusually wide fork, it won’t fit on. You can measure the clearance of your fork in advance. You need 100mm between the forks for 700mm up the forks from where they attach to the wheel – the motor is a disc 100mm across with a diameter of 700mm. Finally, wiring up the wheel, battery and control unit. The bike came with an 8Ah battery. 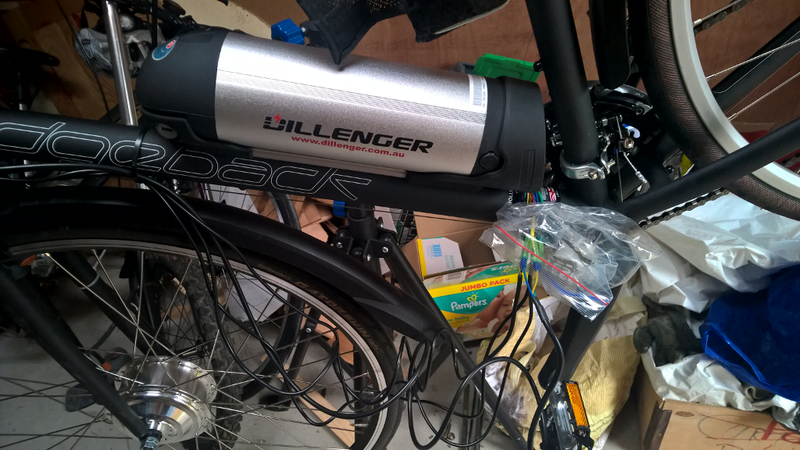 It holds 150 watt hours (.15kWh), and on this charge, it has a range of about 40km of cycling assistance with reasonably heavy usage (e.g. with weight on the bike and on hilly terrain). 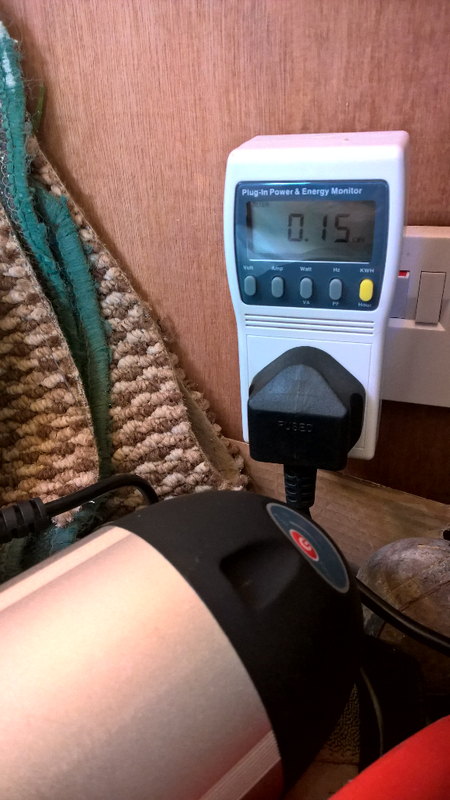 That gives an energy consumption of .15kWh / 40km = 0.0038 kWh per km or 7kWh per year. It doesn’t do all of the work and you still need to cycle. At a leisurely pace, it reduces the effort by about 50%, which means I’m also contributing 0.0038 kWh per km, giving a total energy consumption 0.0038 * 2 = 0.0076 kWh per km. In comparison, when we switched to an electric car, we calculated that a Nissan Leaf consumes 0.16kWh per km given it has a 150km with a 24kWh battery. Our old petrol car travelled 11.36 KM/Litre of petrol and 1 litre of petrol contains 10 kWh, so it consumed 0.8803 kWh per km. Now that we know the consumption of the electric bike, and a baseline to compare it to (a petrol car), we can work out what we stand to save in terms of energy, cost, and emissions. The bike consumes 0.0038 kWh of electricity per km, and so with a 10km daily commute, that means cycling roughly 10km per day or 70km per week or 3,640km per year. That’s 0.0038kWh * 70km per week = 0.266 kWh per week, and 13.8kWh per year (of which half, or 7kWh, is coming from the electricity grid, and half is coming from your body). I’ll use a petrol car for comparison. Driving a petrol car this same distance would result in 3,640km * 0.8803 kWh per km = 3,640 * 0.8803 = 3,204.2kWh. That means switching to the electric bike saves 3,204.2 – 13.8 = 3,190.4 kWh per year. 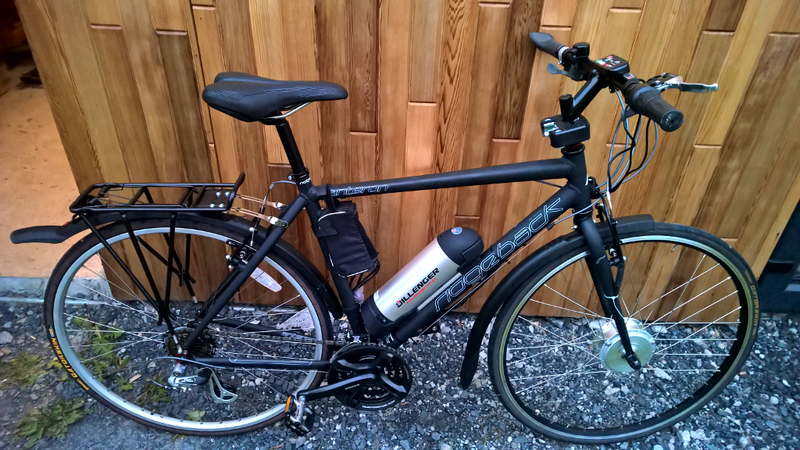 To put the energy consumption of commuting with this bike in context: 7kWh for the entire year? That means your entire year of work commutes on the amount of energy it takes to run an electric shower for an hour, or to drive a gas car for 19km. Comparing the cost and energy consumption of an electric bike (winner) versus and electric car, versus a gas car (loser). The bike battery is charged by plugging it in to a socket, which costs €.17 / kWh, so the total yearly cost is €.17 * 6.9kWh = €1.17. That’s less than the cost of a sandwich. Driving the same in a petrol car comes to: @ 11.36 KM/Litre for 3,640km, which consumes 3,640 / 11.36 = 320.42 litres of petrol. Petrol costs €1.48 per litre so €1.48 * 320.42 = €474.22. That comes to a financial saving of €474.22 – €1.17 = €473.05 per year, or 0.2% of the cost of driving to work. If you can get rid of your car entirely, it’ll save a further ~€1000 in maintenance, ~€500 in road tax, ~€750 in insurance, or €473.05 + €1000 + €500 + €750 = €2723.05 in total a year. The Irish grid carbon intensity is 535g CO2 per kWh, so cycling the bike emits 7kWh * .535 = 3.745kg CO2 per year. Driving a petrol car this same distance would result in 3,640km * 200g CO2/km = 3,640 * .2 = 728kg CO2. So converting from driving to work to cycling the electric bike will save 724.2 kg CO2 per year. What I like about this one is the fact that it opens cycling up as a genuine commuting option to just about everyone. It removes the biggest barriers people have, which is the fear that it will be too difficult for them to cycle any great distance or that they will be sweaty when they arrive in work. An electric wheel essentially allows you to put in as much or as little effort as you like. The end result is a commute costing 0.2% of the cost of driving to work, saving €500 per year and removing 7,242 kg CO2 over its lifetime. I already primarily cycle everywhere, including to and from work, so it’s mostly served to (1) get me places faster, (2) allow much bigger shopping loads to be carried by bike and (3) get me in and out of town when meeting friends without being sweaty. Pretty useful for the 25% or so of the time I use it. If you’re already a hard-core cyclist, an electric bike is an optional luxury. For everyone else, an electric bike represents a way to drastically reduce or remove entirely your dependence on a car, which is a major step towards removing one of the biggest piece of energy expenditure from your life. With an annual ROI of 74.4%, it beats any stock market investment you could make with the €500 cost.